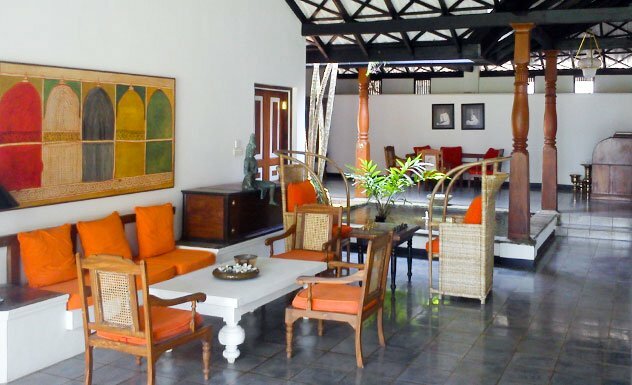 Club Villa was originally built as a four-bedroom holiday retreat for its owners in 1976 by the renowned architect Geoffrey Bawa, but quickly opened up as a hotel in 1980. 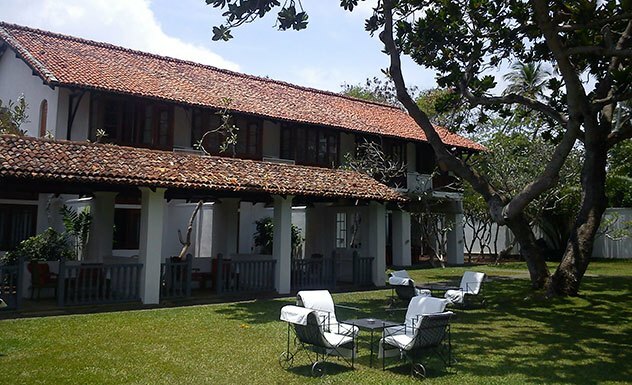 Over the years it has undergone several transformations, with additions by prominent architect and artists such as Channa Daswatta, Chevadurai Anjalendran and Laki Senanayake, the latter of which added a 50-year-old, meticulously detailed mural of Sinharaja. 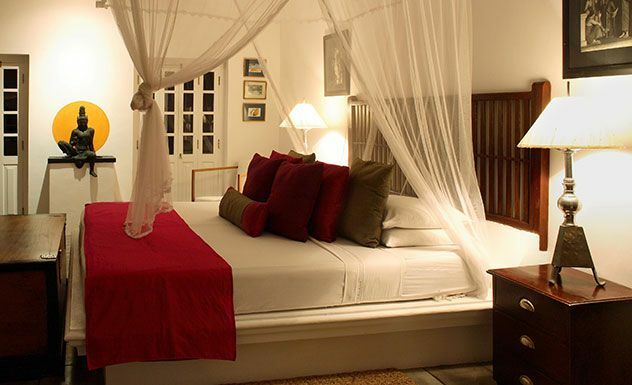 Today, Club Villa is an idyllic boutique hotel with 17 individually-decorated rooms and a Club Suite. 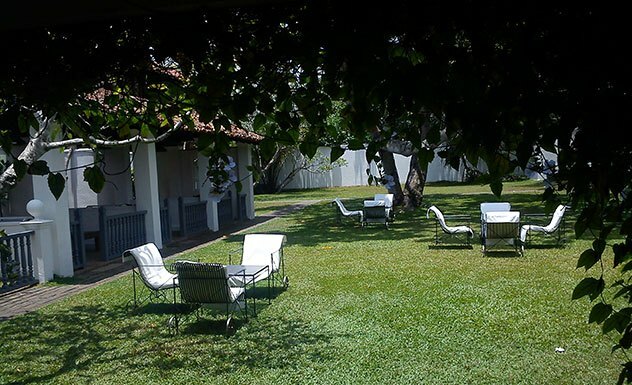 All the rooms have a/c and are available in both Standard and Deluxe categories, both of which have views of the garden and sea. 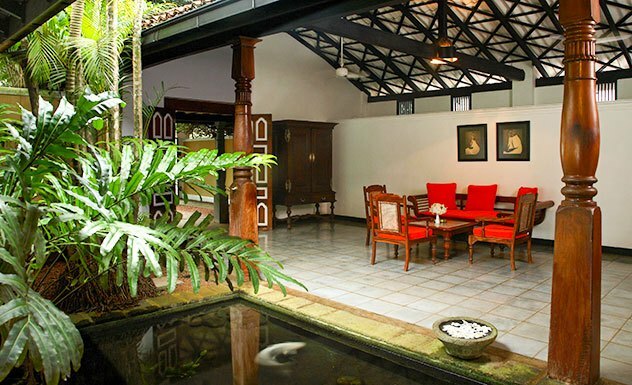 Each room is decorated with hand-picked furniture which resonates strongly of the Dutch colonial period. 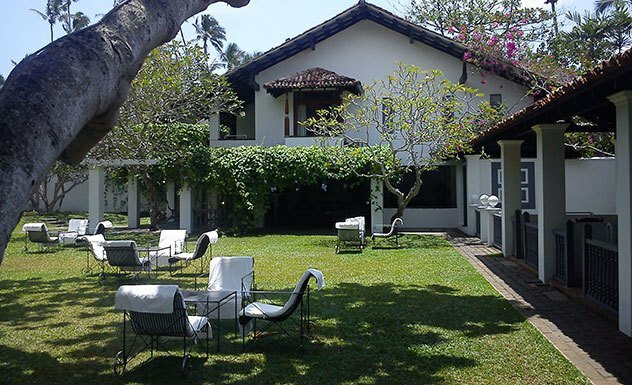 Despite its many enhancements, Club Villa has a timeless quality and charm which makes it stand out from other properties on the island, as well as an unwavering philosophy focused on nature, tranquillity, comfort and delectable food, and its beautiful location fronting a 9km golden beach stretch. 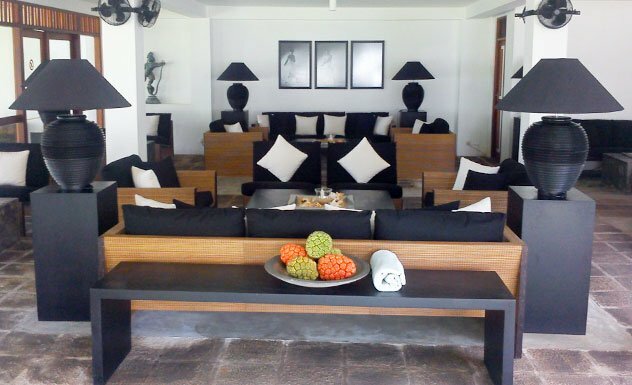 Its peaceful atmosphere is suited both to couples and larger convivial groups. 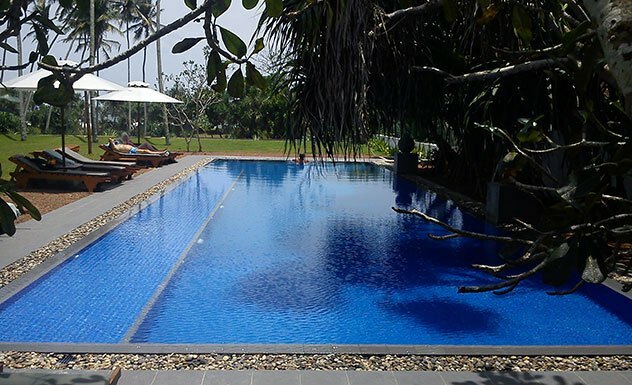 The garden runs right down to the beach and is decorated with a freshwater swimming pool complete with Jacuzzi, clusters of trees, a hammock and plenty of scattered sun loungers. 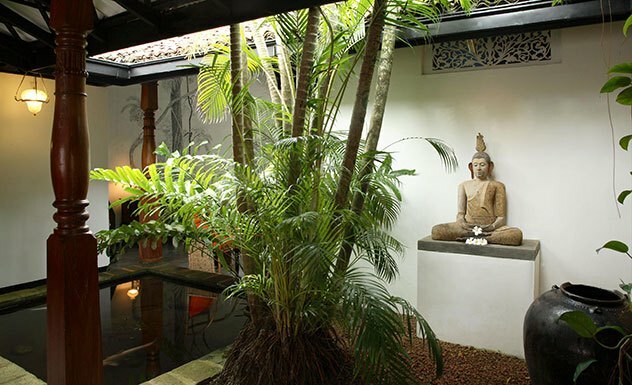 Located on the ground floor with private balconies overlooking the garden. 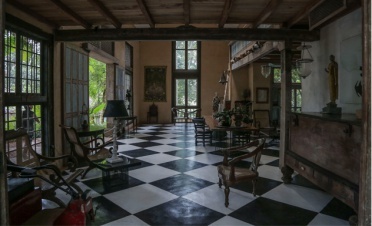 Positioned on the first floor, these rooms come with mezzanine floors offering additional space and either a private balcony or large bay windows. 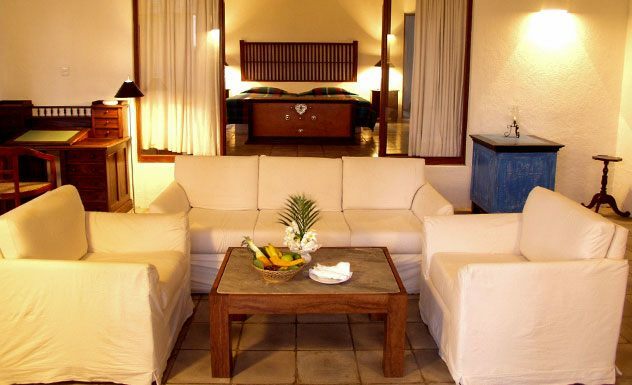 The Club Suite is a living space of its own, with a private garden, sea-view lounge and a luxurious semi open-air, split-level bathroom which includes a Jacuzzi and separate rain shower. 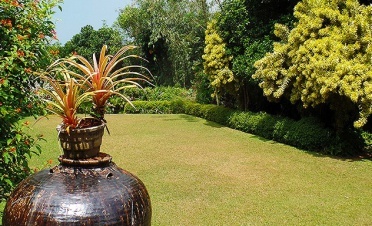 It also has a stunning interior garden equipped with antique columns. Given its beachside setting, Club Villa has a bountiful haul of fresh seafood on a daily basis which is a highlight of their menu. 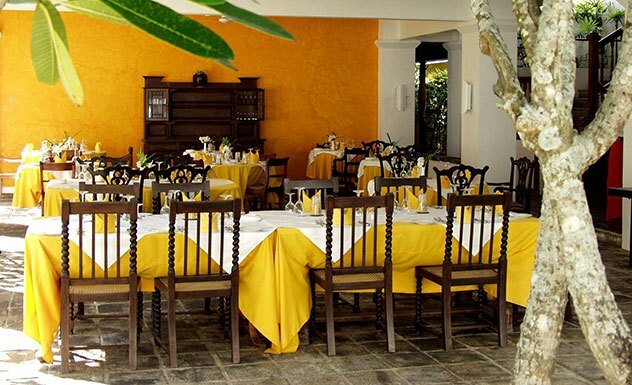 All meals are a la carte, tailor-made menus offering three courses of fine European dining and spicy Sri Lankan dishes, apart from the breakfast which is all-day Western. 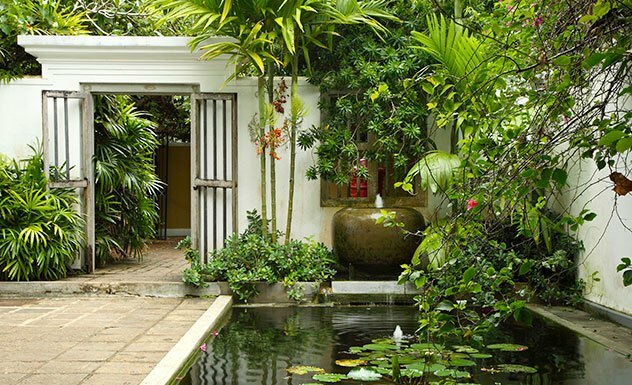 Guests can choose whether to eat in the open-sided dining pavilion, at a candle-lit table in the gardens or at a private table on the beach complete with champagne and a seafood BBQ. Club Villa is family-friendly and a great choice for kids, offering spacious rooms and garden, swimming pool and a variety of board games. Older children can enjoy a range of water-sports.